Providing an introduction to volume 11, The Invasion of France and Germany, 1944–1945, of Samuel Eliot Morison’s classic fifteen-volume series, U.S. Naval Operations in World War II, felt very much as if I had been given a paint set and rowboat and asked to make additions to the carrier U.S.S. Intrepid, permanently dockside as a museum in New York. Morison’s work is like the Intrepid: an enduring representation of the meaning of direct personal experience of the war at sea. Morison, a distinguished Harvard history professor both before and after the war, himself saw action on U.S. Navy warships as he researched these books. He was not present for the events described in this volume. Like the Intrepid, he was in action in the central Pacific at that time. But his familiarity with the ships, operations, and people involved informed the writing and infused it with vitality and coherence. Morison and the Intrepid both earned their battle stars. There is a reason why, in the 1970s, the U.S. Navy named one of its new missile-armed frigates the U.S.S. Samuel Eliot Morison. Also like the Intrepid, Morison’s work served for a generation. The Intrepid took part in combat off Vietnam and recovered astronauts in the space program; in the decades after Morison completed his work, it became the standard source on U.S. naval operations in World War II. Even though Morison’s work was not an official history, it was perceived to fill the need for one so well that the U.S. Navy, unlike the other services (including the Marine Corps), saw no need to create an official history. Today, the fact that this edition of Morison is being published is evidence of his work’s continued value. Like the Intrepid, Morison’s work is a product of its time. U.S. Navy aircraft carriers still come off the ways, and excellent histories about the U.S. Navy in the Second World War are still being written. But those of today are different from these distinguished predecessors. Both now cost more. They also take advantage of the advances that have taken place in recent decades. Today’s carriers are designed to operate aircraft and use systems and electronics that are far in advance in technology, if similar in mission, to those the Intrepid used to help win the war. Today’s histories reflect all we have continued to learn—very much an ongoing process—about the war and the organizations, individuals, and technologies that took part in it. There is more information available than when Morison wrote: new ways of looking at the war, offering fresh insights. Compared to their modern counterparts, the Intrepid and Morison’s work both remain sound and seaworthy, although limited by what they were designed to do, back in the 1940s, when they were first envisioned. The reader, picking up this volume more than half a century after its publication and two-thirds of a century after the events it describes, will encounter three interrelated issues. How did Morison’s experience, worldview, and prejudices shape these books? What were the important elements of the history that Morison, reflecting his operational subject matter, was unable or unwilling to include? Finally, what do we know that Morison could not have known in the 1950s, when this volume was prepared? Morison’s vision, style, direction, and worldview are seen throughout the fifteen volumes. Even though he was assisted (which he acknowledged) by the efforts of collaborators, several of whom were distinguished historians in their own right, the entire series retains a unitary vision and voice that comparable multivolume official histories cannot match. It is Morison’s view embodied throughout this history, not that of a divided or reluctant institution, concerned over the impact of facts in print. There is an advantage to the work not having been an official history. The writing. in either substance or presentation, does not jar the contemporary reader. Perhaps the scope and importance of the subject matter helped check the occasional hauteur and excesses of historical imagination sometimes seen elsewhere in Morison’s books. Yet Morison’s strong personal vision that makes these volumes so readable and compelling also skews them. The U.S. Navy that appears in these volumes is not the actual U.S. Navy of World War II. In Morison’s navy, all the sailors are brave and all the commanders are competent, all the time. There are no collapses of morale or men promoted above their ability that make costly mistakes, even though we know the U.S. Navy was actually full of both of these things. That this reality did not stand in the way of the final victory adds to the achievement of what was a largely improvised service of civilians in uniforms, guided by a cadre of skilled seamen, effective organizers, and insightful strategists, using the expertise gained in long prewar service. These circumstances make the final achievement of the U.S. Navy in World War II even more remarkable, not less so, than what Morison describes. In this eleventh volume, this element of Morison’s vision is less important because the U.S. Navy does not encounter any major setbacks or failures. In other volumes, Morison could not avoid them: Pearl Harbor, the Battle of Savo, the escape of the Japanese carriers at Leyte Gulf, the Great Typhoon, and many more. Yet while some of the admirals involved are treated sympathetically (such as William Halsey), Morison does not hesitate to point at admirals that the Navy’s accepted wisdom said had fallen short, such as Husband Kimmel or Jack Fletcher. In these instances, more recent accounts have pointed out that those higher up the chain of command should share the blame or that Morison’s criticism reflected a skewed set of facts. Morison does play favorites and vilifies a few leaders (while not others), although this tendency is less apparent in this volume. Opening this volume, Morison introduces as background the thrashing out of Allied strategy that eventually led to the D-Day landings in France in 1944 and their follow-on, the invasion of Southern France. Morison’s lack of interest in peripheral campaigns and opposition to waging the Italian campaign was readily apparent from his Sicily-Salerno-Anzio volume. Readers of Morison’s volumes do not need to be told that he was a supporter of Presidents Roosevelt and Truman. There were many different, often-contradictory facets of a complex personality embodied in President Roosevelt’s life and career. The Roosevelt whom Morison most revered was the one that closed a commencement speech at the U.S Naval Academy by stating that he “loves the U.S. Navy more than any other branch of our government.” In this volume, it is Roosevelt the coalition strategist who receives approbation rather than analysis. Morison was a big-ship man and a proponent of a Mahanian view of seapower. That also happened to be the viewpoint of the Navy itself. There was a reason why the destroyers named U.S.S. Mahan commemorate the only other naval historian honored in this way. In this volume Morison writes more about the carriers, battleships, cruisers, and destroyers than the myriad landing craft and auxiliaries, two parts of the Navy that had barely existed a few years earlier. It was the amphibious, auxiliary, and merchant ships, not the big warships, that made the massive logistics effort possible, the landing craft that were the cutting edge of liberation, bringing the troops ashore. Morison does mention these vessels, including the landing craft trucked to support the final crossing of the Rhine in 1945 in a naval operation far from blue water. But in the campaign in Western Europe, the movement of troops and munitions required for the liberation of a continent represented the U.S. Navy’s most significant involvement. The role of logistics and landing craft needs more emphasis than Morison’s big-ship operational narrative focus permitted. Morison wrote not only primarily about the big ships, but also about the big men. He did not strive to “give voice to the voiceless” or look at how the vast numbers of temporary sailors fought their war afloat or ashore. While Morison does give a worthy place to the crews of the vast invasion fleets, it is the admirals, especially the U.S. Navy’s H. Kent Hewitt and the Royal Navy’s Sir Bertram Ramsay, who are in the foreground of the description. War in the twentieth century, according to the British military historian Sir Michael Howard, was conducted in four dimensions: operational, logistical, social, and technological. As the title of the complete series, U.S. Naval Operations in World War II, suggests, from the beginning Morison set out to concentrate on operations. Much of what Morison left out of the series resulted not because he did not know about it, but because the subject was outside his scope. Morison did not focus on the other three of Howard’s dimensions—logistical, social, and technological—nor on such critical aspects as strategy, tactics, ships, aircraft, weapons, or the policies and thinking behind their development, important though all of these are. 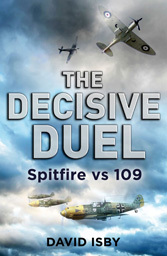 None of these other subjects had the excitement of operations or offered the scope for Morison to provide the vivid, insightful writing that still attracts readers. Morison’s work has aged well because he concentrated on what, writing a decade after the events, he could do well. Morison’s focus is always on the U.S. Navy, which is a drawback in this volume. Throughout the operations described here, the U.S. Navy was operating in conjunction with allies. The Royal Navy and Royal Canadian Navy had a much greater share of the invasion than the U.S. Navy, although they receive relatively little emphasis in Morison’s account. Yet this volume is not a study of combined or joint operations. Indeed, British and Canadian forces and the U.S. Army (who together shaped most of the planning for D-Day), as well as the air forces, are peripheral to Morison’s story. Nor does this volume offer a study of the amphibious warfare doctrine that guided the invasions in Normandy and Southern France, how that doctrine evolved from that used between 1942 and 1943 (Dieppe, North Africa, Sicily, Salerno, Anzio), or why the doctrine used on D-Day differed from that used by the U.S. Navy in invasions in the Pacific. Many senior U.S. Navy officers disagreed with the D-Day plan and thought its amphibious doctrine unsound. The U.S. Navy’s concern over the D-Day invasion planning is one example of the type of subjects outside of Morison’s operational focus, pointing to the limitations of his approach. This book is not an analytical or critical assessment; rather, it is a chronological treatment, addressing the pre-invasion strategy, planning, training, and organization, as well as the assault to the beaches. Readers of the earlier volumes of Morison know how the Navy massed six battleships for the invasion of tiny Kwajalein Atoll, used innovative technologies such as rockets launched from landing craft to clear mines and obstacles, and made effective use of tracked landing craft so that by mid-1944 the Japanese were no longer trying to defeat invasions on the beach. What they will not learn here is why these tactics and technologies were absent in Normandy. The operational focus of the volume does not explain the failure of many critical aspects of the D-Day invasion—none strictly the fault of the U.S. Navy, except for the shortage of its ships in the D-Day bombardment. The preliminary shore bombardment (aimed primarily at defending artillery rather than beach defenses), the pre-invasion air bombardment, the critical obstacle clearing on Omaha Beach, the amphibious DD (duplex drive) tanks, the artificial harbors, the PLUTO (pipe line under the ocean): none of them succeeded as planned despite the resources expended on them and the reliance placed on them following years of planning. Yet despite the operational focus of the volume, it does not explain these shortcomings, nor offer Morison’s informed sense of why the operations turned out the way did on D-Day or what might actually have been feasible. Conversely, Morison’s operational focus does emphasize many of the U.S. Navy’s successes during these events. When things went desperately wrong on Omaha Beach, U.S. Navy destroyers left their planned offshore stations and closed the beach to provide gunfire support. This initiative was dangerous—destroyers were lost to mines— but played a vital role in suppressing German beach defenses. Also, when a gale smashed the U.S.’s artificial harbor at Omaha Beach, the U.S. Navy switched to unloading ships over the beach while they consolidated their surviving facilities with the British artificial harbor, successfully improvising when meticulous planning no longer sufficed. Morison’s focus may not explain why events went wrong, or what alternatives were considered (or ignored), but it does reveal the heroism and skill with which these setbacks were overcome. It has been over two-thirds of a century since Morison (and his collaborators) wrote this volume. Despite its age, it still holds up well under scrutiny. But a lot more has been learned since Morison’s history, enhanced by the intervening years of additional historical research and writing. That said, many of the subject areas where more recent writings have provided insights are outside Morison’s focus on U.S. Navy operations. Intelligence, strategy, logistics, and technology have, since Morison wrote, seen multiple waves of books, all of them adding to and refining the understanding the reader can access through Morison’s work. Morison wrote this series while little was known of the importance of intelligence in the Second World War. His volumes dealing with Pearl Harbor, Midway, the shoot-down of Japanese Admiral Yamamoto, and the Battle of the Atlantic all were unable to deal with the importance of signals intelligence and cryptography in determining operational outcomes. Likewise, this eleventh volume does not capture the massive joint and coalition intelligence effort that shaped the course of events, which had a tremendous impact on the ultimate outcome though it was rarely tied to U.S. Navy operations directly. Even if the complete information had been available to Morison, it would have been difficult to weave the intelligence effort’s scope into his U.S. Navy-specific operational framework. The same applies to the large-scale cover, camouflage, and deception (CCD) that supported the overall planning. Morison was aware of and mentions this, but its fascinating story was outside his focus. More recent historical writing has given us a richer and deeper understanding of Allied strategy and its controversies (as well as causing many Germans to shake their heads and ask, “How did they ever win?”). Decades of U.S. Navy participation in multinational naval operations have, in retrospect, underlined the tremendous achievement of the wartime navies that were able to improvise such a closely integrated war at sea. While Morison, in this volume, shows obvious respect for the Royal Navy, he wastes little ink trying to explain the British strategic differences with the United States, Nor does he discuss at length how the Allied navies differed and why. The Cross of Lorraine may have indeed been a heavy burden for the Allies, but you would not know it from this volume. Offshore of Normandy and Southern France, the French Navy is shown as an integral part of the Allied fleets, willing to join in the bombardments of its homeland. Nor is there much consideration of how the French Navy differed from its Anglophone counterparts. Morison’s big-ship focus tends to look at the operations of France’s prewar vintage battleships, cruisers, and destroyers rather than at their smaller units, which often were supplied under Lend Lease. Morison does not consider how the French dealt with the closely-linked relationship between the U.S. Navy and Royal Navy that tended to leave the French on the outside, nurturing a resentful national (and naval) pride. Morison’s focus on the U.S. Navy meant that his view of the enemy was also peripheral. Since Morison wrote, historians have learned much more about what made the Germans formidable opponents starting at the water’s edge. In the sea and in the sky, the German ability to counter the invasion was much more limited (many of the valuable recently published sources on their war at sea remain, untranslated, in German). Morison devotes little space to the enemy situation and planning, though he does give order-of-battle information and credit where credit is due. An account of the German commando raid launched from the still-occupied Channel Islands against liberated St. Malo in France is one of the many tactically perceptive (as well as vivid and exciting) descriptions in this volume. The Germans pulled together what today would be called an asymmetric capability to oppose the invasion. As today, much of what seapower has to overcome does not go to sea, nor is it identifiably naval. Along with thick stone castles pressed into service as shore defenses, German denial of ports such as Cherbourg through massive demolitions was part of their defenses. Potentially more lethal, the Germans tried to put together a collection of emerging weapons technologies. Seen off Normandy were but brief glimpses of some of the threats that would give naval officers nightmares long after V-E Day: guided missiles and bombs, noncontact bottom mines, pattern-running and homing torpedoes, schnorkel-equipped submarines, midget submersibles, explosive-laden speedboats, seaborne commandos, and much else that still features in threat assessments of today’s crises. That these measures were unable to disrupt the invasion is one of the U.S. Navy’s most significant joint operational achievements, one that Morison does cover in this volume. Morison’s focus on U.S. big ships and major operations tends to skip over how it was joint and coalition efforts that overcame the Germans. It is a drawback that a significant part of the U.S. Navy contribution—participating in the Allied defeat of the U-boats aiming to disrupt shipping to France—is not treated in this volume, but rather in Morison’s preceding The Atlantic Battle Won. Morison’s operational focus narrative works best when the U.S. Navy, largely by itself, fights an opponent that presents a mirror image, with large warships and skilled admirals. While his writing in other volumes about these battles—Coral Sea, Midway, Leyte—is compelling, and largely accurate (though incomplete), it represents only a small part of the U.S. Navy’s much larger achievement in World War II. This volume’s lack of attention to technology denies Morison the chance to show some of the joint and coalition seapower successes that led to victory off Normandy. The German guided missiles and bombs that had inflicted painful losses off Salerno and Anzio were unable to do so again. Demolitions at Cherbourg, though so destructive that Hitler decorated the responsible engineer officer over the radio before the surrender, delayed the first Liberty Ships from unloading for only some three weeks. . The greatest triumph in which the U.S. Navy participated—the logistics that made the liberation of Western Europe possible—was, like its use of technology, inherently a coalition and joint effort. The reader should not allow this volume’s operational narrative focus to obscure the central fact that the Normandy invasion and the subsequent naval dimension of the war in Western Europe were shaped by logistics. Indeed, the aim of the invasion was to secure a logistic base on the continent of Europe, rather than to fight a decisive battle. Bringing first the troops and then the needed sinews of victory ashore was seapower’s primary contribution to the eventual victory. Despite the passage of time, this work by Morison remains informative, relevant, and interesting. Even though Morison, seamanlike, steered clear of shoals where he lacked sources or background and kept to the clear channel of a narrative history of operations, on these terms he offers an outstanding, detailed history. Even in a time much more self-critical and ironic than the one Morison described or wrote in, the reader recognizes the heroism and patriotism expressed in the narrative. In short, the history remains the most comprehensive version available of the U.S. Navy’s war at sea. In an ideal world, someone would write an official history of the U.S. Navy in World War II, building on Morison’s work and treating those aspects of the war outside his focus. There is precedent for such a long-delayed official treatment. The Royal Canadian Navy—the world’s third-largest navy at war’s end—did not have the first volume of its official history written until the twenty-first century. Unfortunately, the conflicts of more recent decades claim the attention of analysts and historians. But historians—especially official historians—must of necessity write with one eye on the next war, wondering which insights from the past may prove useful the next time the mines start to explode, warships start to take on water, and peacetime fast-runner officers flounder in combat. Historians may not be able to fully foresee what aspects of the past will be of use in future naval conflicts. But they can be sure that what is known about the past will prove important to the people doing the fighting. Some years ago, in Washington, a talk was given by an individual who had been the executive officer of the frigate U.S.S. Samuel B. Roberts—a sister ship of the Samuel Eliot Morison—that was mined in the Arabian Gulf in 1987. In charge of damage control, the officer directed the crew’s valiant and ultimately successful effort to keep the ship afloat, standing in the main fore-aft passageway. He directed parties of sailors—who came running with pumps, hoses, and lumber to reinforce bulkheads—to the compartments where they were most needed. When the sailors came running back to get more equipment, he saw that each sailor, as he ran, reached out a hand to touch a brass plaque on a bulkhead. The plaque commemorated the first U.S.S. Samuel B. Roberts, sunk in a heroic battle against superior forces off Samar in the Philippines in 1944, and carried the names of its crew. This instinctive gesture by dozens of sailors perhaps says more about the value and function of history than volumes of historiography. At a time of great crisis and stress, with their ship mined and possibly sinking, these sailors reached out to literally touch the past, drawing strength from the names of long-gone sailors who had fought their ship to the very end. The gesture was also an unconscious promise to the past: with so much depending on the sailors’ actions at this moment, they will not break faith with those other sailors who came before them. Morison’s work reminds the reader that operational naval history is important as a link to the past, without which the present is chaos and the future unreadable. If those sailors on the Samuel B. Roberts demonstrated that naval history is important to individuals, it is even more vital to institutions and organizations. For navies, the continuity between their next conflict with the one Morison wrote about is readily apparent. The ocean today is just as unforgiving of inattention and amateurism as it was then or any other time in the past. Future naval warfare will probably look much more like what Morison described in this volume than climactic battles such as Midway or Leyte Gulf. Naval warfare will likely entail joint and coalition operations, be concerned with establishing and sustaining ground forces and their logistics ashore, and be opposed, primarily in a difficult littoral environment, by an asymmetric threat. The carrier Intrepid and Morison’s history were, and remain, classics, both of which deserve your attention. Go to the Intrepid and look at its plaque, in the old 40-mm gun tub, that remembers its crew of messmen who volunteered to leave the galley and man the guns at general quarters. They took a direct hit from a kamikaze they had shot down. Men died to bring the Intrepid safe alongside the pier in the Hudson, where it is today. Read Morison and see what it was like on the invasion fleet off Casablanca in 1942, just before the guns opened fire. Or what it was like on the bridge of the U.S.S. Honolulu, combing torpedoes in a night action off Kolombangara Island in 1943, hearing the voices of survivors in the water crying out for rescue “Honolulu! Honolulu!”—knowing it would be death to slow down, and that many of the voices in the darkness would be drowned by the bow wave of the cruiser moving at flank speed. None of these experiences are superseded by today’s advanced technologies or more sophisticated historical insights. This volume, and Morison’s other 14 volumes, remains an important contribution to history as well as great reading.